Faial Island´s capital, Horta, is a regular meeting point for yachts and other vessels crossing the Atlantic, having played host to streams of caravels, clippers and catamarans over the centuries. Nearby. 15 km from Horta is the Caldeira Cabeço Gordo, a vast green 400-metre-deep volcanic crater in the centre of the island. Faial´s other spectacular natural sight is the Vulcão dos Capelinhos, where volcanic activity in 1957 extended the island on the west side, smothering a lighthouse which can now be seen buried in ash. - Departure from the Hotel at 9:30 AM. Taking the coastal road, and always in the presence of the lush green mountain range Serra da Ferreira, we arrive at Castelo Branco, continuing on to the Varadouro, a magnificent bay with natural thermal fountains and pools. - Short walk with lunch at a local restaurant. - Following lunch, the tour continues towards the Capelo forest park for a short visit. - The next stop is in the Capelinhos area where the landscape was completely changed with village houses and fields covered with volcanic ash from the time of the sea volcanic eruptions of 1957-58. Visit the local exhibition. 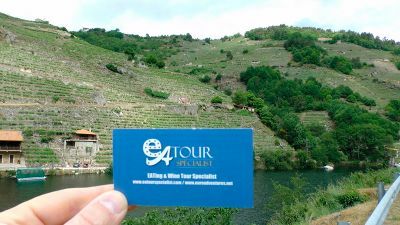 - The tour continues on to the Caldeira, a crater 400 meters deep and 2 km wide, located in the central part of Island. This area, surrounded by exuberant vegetation, is classified as a natural reserve and is considered one the major attractions in the Island. - Next stop at the Miradouro da Espalamaca where a birdÂ´s eye view of Horta including its marina and surrounding Monte Queimado and Monte da Guia mountain areas can be enjoyed. - Return to the Hotel at 5:30 PM.